While presenting his proposal, the Sierra Leonean minister of agriculture, Joseph Jonathan Ndanema explained that the agricultural sector in Sierra Leone is experiencing a long-term decline, resulting in inadequate food supply for natives. To combat this, the incumbent government is focused on transforming the agriculture sector into a productive one, which caters for the needs of citizens and allows for possible export of agricultural products to generate revenue. 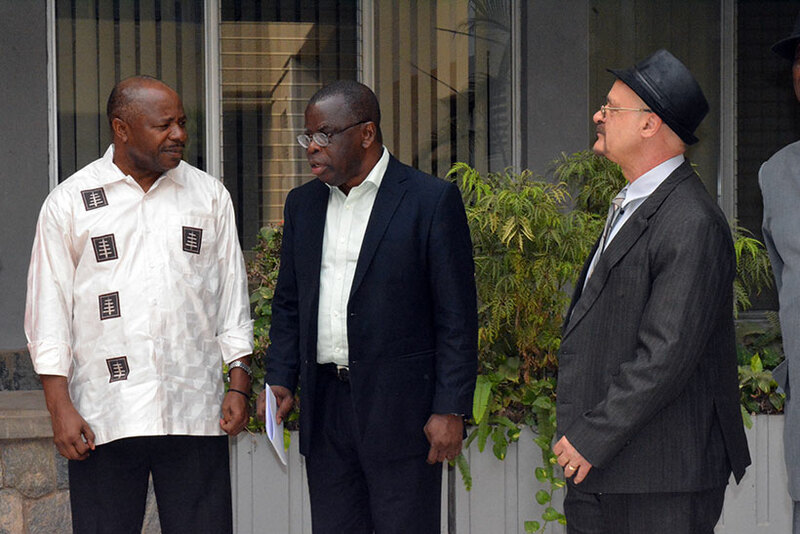 “Sierra Leone government wants to partner with IITA because of its technologies which can help the country’s agricultural sector and the Sierra Leone Agricultural Research Institute (SLARI). There is great potential in collaborating as well as strengthening and enhancing the existing partnership with IITA in the development of agriculture in Sierra Leone,” Ndanema said. Prior to the signing of the MoU, IITA scientists and unit heads made presentations on the ongoing research programs and activities of the Institute. Afterwards the Sierra Leonean delegates from were later taken on unit tours.